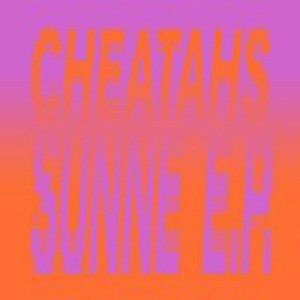 A year after their well-received debut LP, Cheatahs follow up with the Sunne EP, crystallizing the virtues of the first, and super-charging their melodic sense. The quartet, Nathan Hewitt, James Wignall, Dean Reid, and Marc Raue, have international roots, but came together in London. 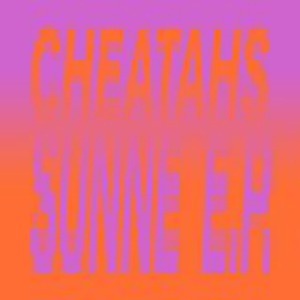 Sunne comes off as a double singles package, A side/B side repeat, with the title track kicking things off and cementing their place in the shoegaze pantheon. The warped guitar lines add just enough lemon to the sugarbomb proceedings. “Campus” refines the kinetic interplay of their full album in a breathtaking charge to the finish line, while “Controller” is the top of the mountain, the breakthrough that makes one lick their chops in anticipation of their next full length. From the glorious intro to the earworm chorus, it’s a band at the top of their game. Wichita’s head is on record: after seeing them live recently he declared, “the new stuff is next level.” While he has a vested interest in saying that, the man is not incorrect. Finishing off with the hell bent “No Drones”, Cheatahs join No Joy and Serena Maneesh in a race to push the outer limits of Shoegaze.